Teresa Ann Scott Hedden, 54, of Pelzer, wife of James Larry Hedden, died Tuesday, February 23, 2016. Born in Greenville, she was a daughter of the late Veldee and Agnes Hanley Scott. She was a member of New Life Baptist Church, Ware Place. In addition to her husband, she is survived by son, James Dale Hedden of Williamston; sisters, Faye Holcombe of Easley and Darlene White of Williamston; brothers, Ray Scott of Easley and Grady Scott of Liberty; four grandchildren; and one great-granddaughter. A memorial service was held on Friday, February 26 at Gray Mortuary chapel. Barbara Ann Tumblin Rhodes, 62, of Mauldin, wife of Jerry Ray Rhodes, died Wednesday, February 24, 2016. Born in Greenville County, she was the daughter of the late James Lloyd Tumblin Sr. and Betty Fowler Tumblin. She worked with the Greenville County School System and was a member of Cedar Shoals Baptist Church, Belton. In addition to her husband, she is survived by daughter, Ashley Davis of the home; and three grandchildren. A graveside service was held on Friday, February 26 at Greenville Memorial Gardens. Memorials may be made to Cedar Shoals Baptist Church, 1045 Cooley Bridge Rd., Belton, SC 29627. Melanie Jean Billings, 42, of Piedmont, died Sunday, February 21, 2016 at Greenville Memorial Hospital. 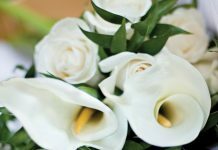 PIEDMONT – Jacqueline “Jackie” Childress Owens, 63, widow of Jerry Waymon Owens, passed away Thursday, February 25, 2016. Born in Pelzer, she was the daughter of Margaret Chasteen Looper and the late Jack Spencer Childress. She was formerly employed with the Greenville County School District and a member of Southside Baptist Church. Surviving in addition to her mother of Piedmont are son and daughter-in-law, Jason and Nikki Owens of Dacusville; grandchildren, Elijah and Aeden Owens; brothers, Bobby Childress (Randee), Samuel Childress (Vera Jo), Billy Childress (Jennifer), Ted Childress (Sherry), Joe Childress (Rhonda), Tommy Looper (Nancy), all of Piedmont and Roy Childress (Faye) of Fountain Inn. Visitation was from 12:30 – 2:00 p.m. Sunday, February 28, at Southside Baptist Church. The service followed at 2:00 p.m. at the church. Burial will be at Greenville Memorial Gardens. The family is at the home of Margaret Looper, 33 Southside Circle, Piedmont. PELZER—Jeanette Weinsberg Thurston, 89, widow of Jessie C. Thurston, died Friday, February 26, 2016. Born in Metz, France, she was a daughter of the late Jean and Melonie Khars Weinsberg. She was retired from Ruth Fashion’s and was a Catholic. She is survived by sons, Johnny Thurston (Pam) of Piedmont, Greg Thurston (Becky) of Pelzer, Jerry Thurston of Pelzer; grandchildren, Charla Candler (Shane), Jennifer Wilbois (Emmanuel), Ashley Bowlby (Brandon); great-grandchilren, Trevor Bowlby, Taylor and Aubrey Candler, Amerigo Wilbois; two sisters and two brothers, all living in France. She was predeceased by grandson, Christian Thurston; and two brothers. A graveside service was held Sunday, February 28 at 2:00 p.m. at Pine Lawn Cemetery. Dora Idella Barker Moore, 60, of Greer, died February 25, 2016 at her home. Born in Greenville County, she was daughter of the late Freeman Thomas and Thelma Hamby Barker. She retired from General Electric and was a member of Edgewood Baptist Church. Surviving are her husband, Ricky Austin Moore of the home; three sons, Donnie Holloway of Greer, Shawn Bryant of Williamston, and Benjamin Holloway of Blue Ridge; daughter, Sandra Itani of Greenville; three step-sons, Brian Moore of Pelzer, Joseph Moore of Greer and Chaz Massengale of Greer; step-daughter, Rebecca Duvall of Simpsonville; 15 grandchildren; and three great-grandchildren. Funeral services were held Monday at The Wood Mortuary. Burial followed in Greenville Memorial Gardens. Memorials may be made to the American Cancer Society, P.O. Box 22478, Oklahoma City, OK, 73123. Brian Leroy Merriman, 59, of Anderson, died Friday, February 26, 2016. Born in Warsaw, IN, he was predeceased by his father, Robert Dale Merriman. He is survived by his wife, Sherry L. Merriman of Belton; son, Ryan D. Merriman of Geer; daughter, Amber I. Kusmier of Easley; mother, Jean Ann Cunningham of Kimmel, IN; sisters, Beth L. Merriman of Belton, and Brenda L. Johnston of Williamston; and five grandchildren. Memorial services were held Monday, Feb. 29 at Calvary Baptist Church, Williamston. Sarah Elizabeth Seawright Davis, 71, of Piedmont, died Friday, February 27, 2016. A graveside service was held Tuesday, March 1 at Shiloh Methodist Church Cemetery. Frances Earle York Miller, 78, of Piedmont, wife of the late Julius Harold Miller, died Sunday, February 28, 2016. Born in Greenville, she was the daughter of the late Rowe York, Sr. and Dorothy Gilreath York. She is survived by sons, Bobby Miller of Piedmont, Buddy Miller of Inman and Brian Miller of Piedmont; six grandchildren; and two great-grandchildren. A private graveside service will be held at 12 noon on Friday, March 4 at Greenville Memorial Gardens. Kay Frances Burton Phillips, 72, of West Pelzer, widow of George Earl “Joe” Phillips, Jr., died Sunday, February 28, 2016 at Anmed Health Medical Center. Born in Pelzer, she was the daughter of the late Neal Edward and Alice Mae Garrett Burton. She was a homemaker and a member of Eastview Baptist Church. Survivors include sons, Timothy Phillips of Anderson and George Earl Phillips, III of the home; brother, Gene Arrowood. A graveside service was held Wednesday at Pine Lawn Cemetery, Pelzer. Memorials may be made to Eastview Baptist Church, 120 Eastview Road, Pelzer, SC 29669. Gloria “Gwen” Crymes Davis, 48, of Pelzer, died Monday, February 29, 2016. Born in Greenville, she was a daughter of the late Troy Lee Crymes, Sr. and Nancy Ann Brissey Crymes. She was employed with Creative Styles in Piedmont. She is survived by son, Michael Anthony Davis of the home; fiancé, Terry Ryder of Pelzer; brothers, David Stewart of Piedmont, Robert Stewart of Simpsonville, Charlie Stewart and Troy Crymes, Jr., both of Easley; sisters, Karen Vogann of Woodruff and Debra Payne of NC. Visitation will be from 11:00 am to 12 noon Thursday, March 3 at Pelzer Church of God. A memorial service will follow at 12 noon at the church. Memorials may be made to Pelzer Church of God, P.O. Box 276, Pelzer, SC 29669. Vernon Glenn Seawright, 91, of Greenville, died Tuesday, March 1, 2016 at Greenville Memorial Hospital. Born in Anderson, he was the son of the late Clarence Vernon Seawright and the late Jessie Burton Seawright. He was a veteran of the U.S. Navy during World War II and Korea. He retired from Duke Power. He is survived by his children, Anthony Seawright of Piedmont, Deborah Seawright of Houston, TX; sister, Jean Bannister of Iva; and one grandchild. He was predeceased by his wife, Marion McGill Seawright. Graveside service with military honors will be held on Thursday, March 3 at 11:30 a.m. at Iva City Cemetery.